On the second day I got there even earlier for a 12 o’clock start and ended up even closer to the front, and managed to get to the barrier before the final 3 songs but some of my other photos will show that. Now if I went on about every performance this would be an epically long post so I’ll just pick a few. 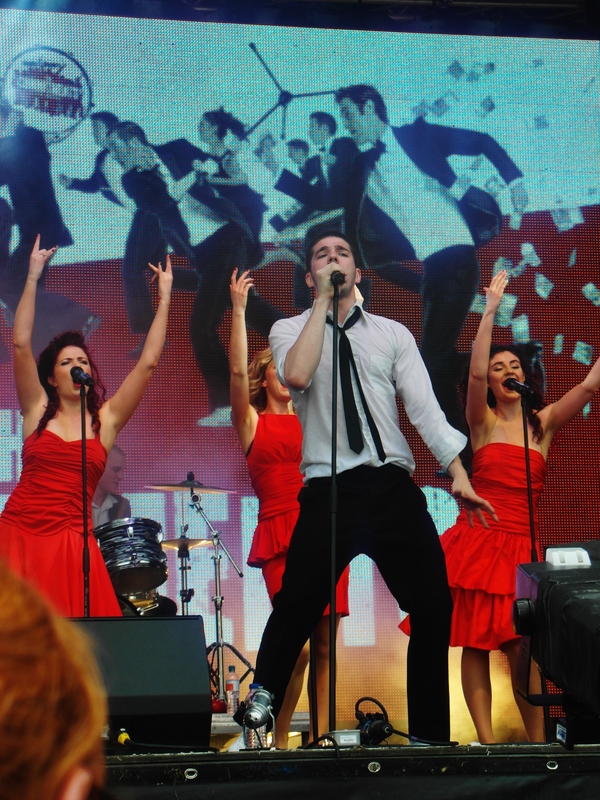 The Commitments – The Commitments opened the first day and performed on the second day also. Both times they were brilliant – the lead guy was seriously talented and insanely hot! I didn’t really know what to expect from this show as I hadn’t heard a lot about it but now really want to go see it. Both days they managed to get a crazy reaction out of the audience, almost like being at a gig. They also all looked knackered by the end of it – especially the lead guy who did jump around like a crazy person! 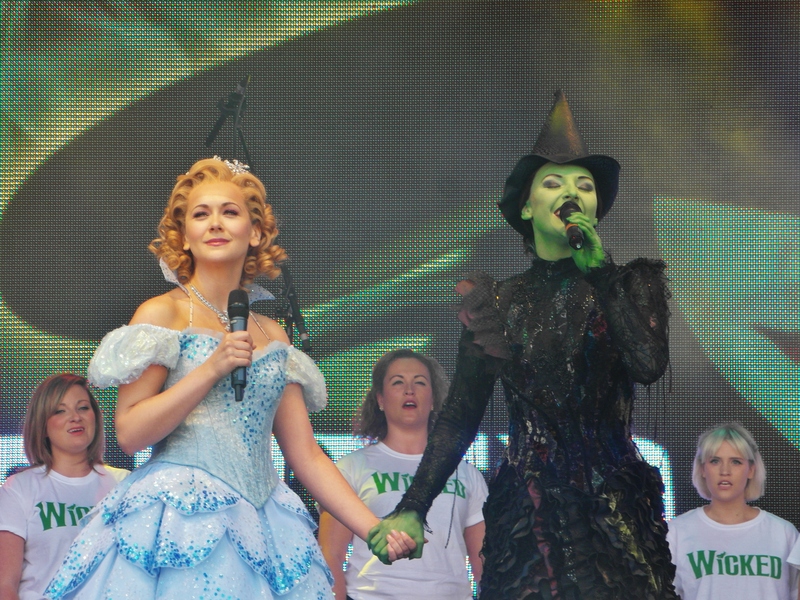 Wicked – Now Wicked has performed at West End Live since they opened and were the one show I saw when I came in 2012. But for the past three years at least, they have not performed in costume, and only the main stars have attended so I got a pleasant surprise when the whole cast came out to do a choral version of For Good, after Willemijn and Jeremy had performed As Long As You’re Mine. I love Wicked, having seen it 7 times, however haven’t been so fanatic about it lately. This performance reminded me that I still loved it and the music still blew me away. I will see it again but will properly wait for the next cast change. Charlie and The Chocolate Factory – Now for anyone who knows me they will know that this is my new favourite musical and I’m a tad obsessed with it, meaning I’ve seen it 6 times since November and have spent crazy amounts of money on it. However its worth it, and if it ever comes over to America I urge you to see it, especially if Douglas Hodge comes as Wonka cause he is phenomenal, anyway back to West End Live. I was interested to see what they would do as a lot of the songs are big production numbers, so it made sense they would sing the most well known song and simplest, Pure Imagination. It was beautifully done with some gorgeous projections in the background. 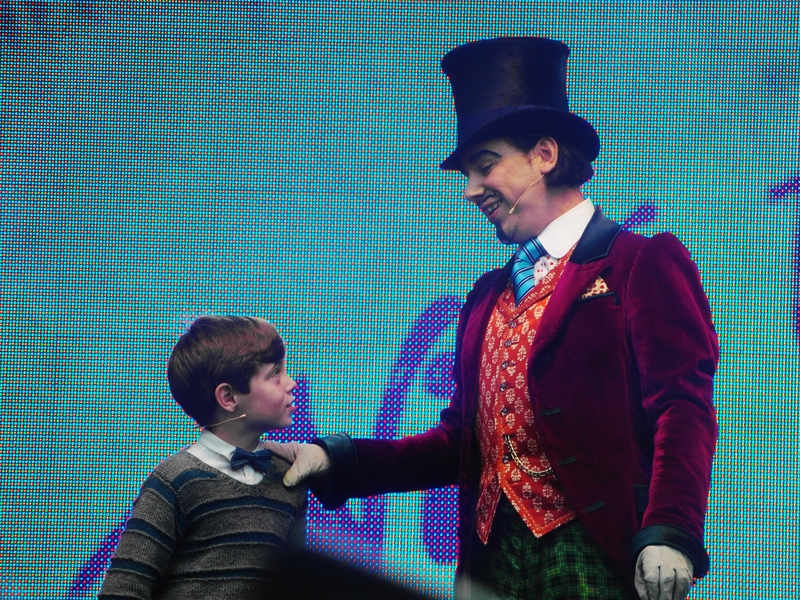 I was sad to see that it was the Wonka understudy, but considering it was a 2 show day and the size and energy needed for the role, its understandable why Alex Jennings wouldn’t have wanted to do the 2 shows and the West End Live performance. I’m gonna miss seeing this show the most over summer but will definitely be back in September. 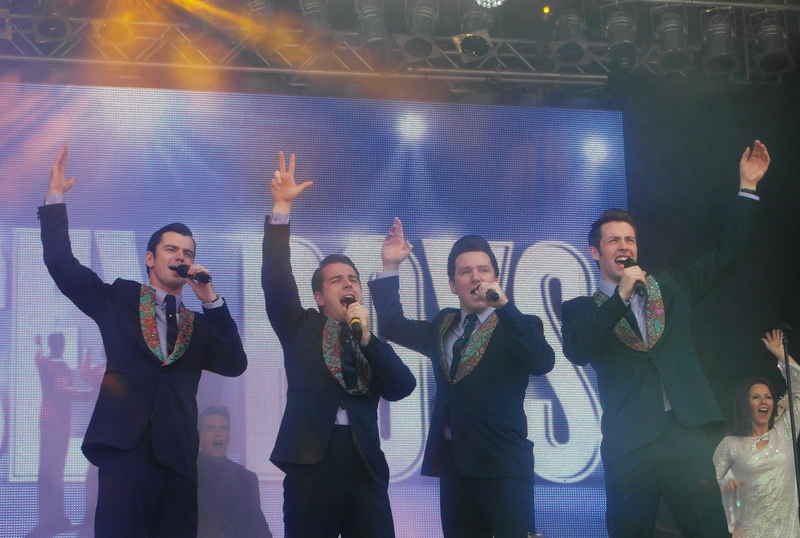 Jersey Boys – I seem to have gone a bit Jersey Boys mad this week, saw the gala screening on Monday which included a performance by the London cast, and then 2 days of West End Live performances. I’ve always loved this show but lately my love has grown and its bordering on an obsession. However it completely deserves it as the show is phenomenal. On both days they had the audience singing and dancing and generally going crazy. They were the only show to perform the same songs on both days, a early years medley (Sherry, Big Girls and Walk) followed by the girls singing My Boyfriend’s Back in town, Michael Watson singing Can’t Take My Eyes Off of You and then the rest of the cast joining for Who Loves You and Oh What a Night. I was glad about this as it was the one show I wanted to film for my mother so I managed to catch it over the 2 days. I need to go see this with Michael as Frankie as he seems to be phenomenal. 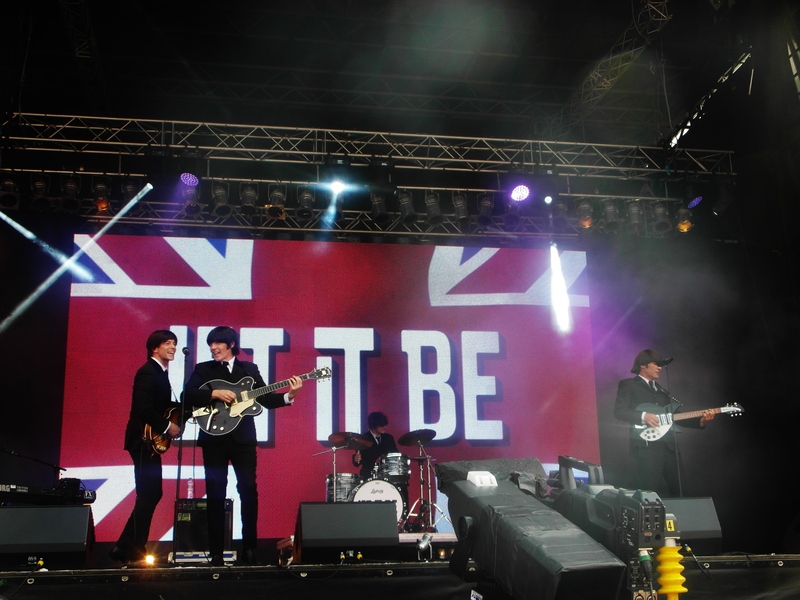 Let It Go – this is the Beatles musical and yet again I didn’t know what to expect. I have loved the Beatles musical since I was young as my dad was a big fan. Like the Commitments and Jersey Boys, the performance ended up being more like a gig, lots of audience dancing and singing. By this point I was quite close to the front and they were smiling, laughing and waving at us. For some reason it made my day! If its limited summer season gets extended I’ll definitely see it in September. 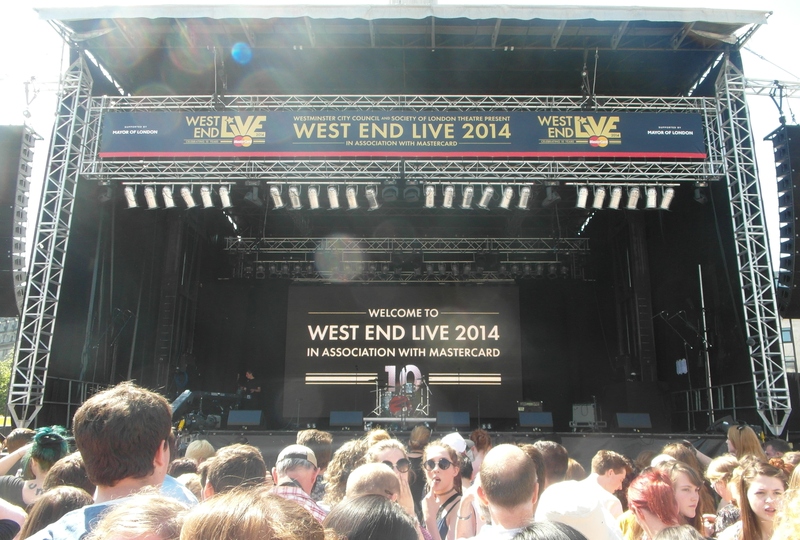 10 from 10 – This was the tenth birthday of West End Live, (they never let you forget that! ), so in celebration they decided to bring back 10 shows from that have wowed audiences over the past 10 years. It included Leanne Jones singing Good Morning Baltimore from Hairspray, Danielle Hope singing Over the Rainbow, the Chicago Cast doing a medley, Priscilla Cast and the new Avenue Q tour. Due to illness the Sound of Music section ended up being an audience version of Do Re Mi that was very entertaining. And after much cheering Oliver Tompsett did an acapella, audience participation version of We Will Rock You. This section was basically the only reason I arrived so early on the second day, and it was definitely worth the wait (not that I would have missed the other performances!). It was brilliant to see all this wonderful performances that I’ve missed in previous years, so up close. I went a little video crazy but now I can look back on it. Now that was just a small snapshot of the weekend there were more performances from Les Miserables, The Phantom of the Opera, Once, The Pyjama Game, and Thriller Live to mention a few. The weekend was a brilliant experience, with a fantastic atmosphere. For the first time in 10 years it was clear skies and burning sunshine for the whole weekend. I came back both days on such a high, and have been raving to everyone about how good it is. I will definitely be attending next year, and will arrive even earlier on the Saturday to get a better spot. If you want to see more photos then click here to go to my facebook album of photos.